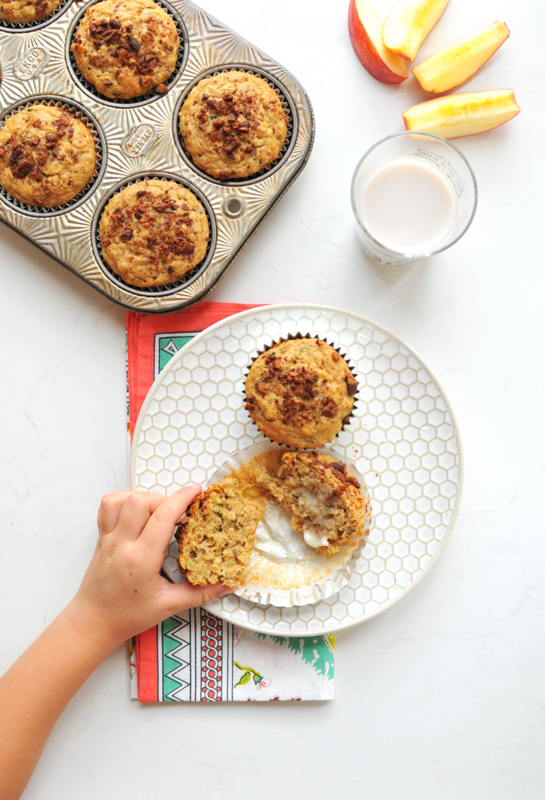 These apple cinnamon muffins are made with Quaker's Super Grains oatmeal and are filled with fruit, veggies, avocado oil, and satisfying pecans. It's the perfect way to start the day! 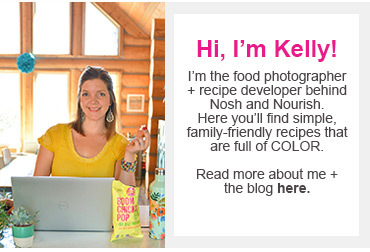 When so many of us are concerned about providing the healthiest food to our families and choosing just the right ingredients (is it nourishing, is it organic, is it wholesome, is it free from dyes and fake sugars)--- and as women, we're often focused on dieting and not overeating, it's hard to imagine that many people in America (especially children) are actually hungry. And my local Denver Safeway wants to help do something about it. And I'm so happy to be able to partner with them to spread the message!! 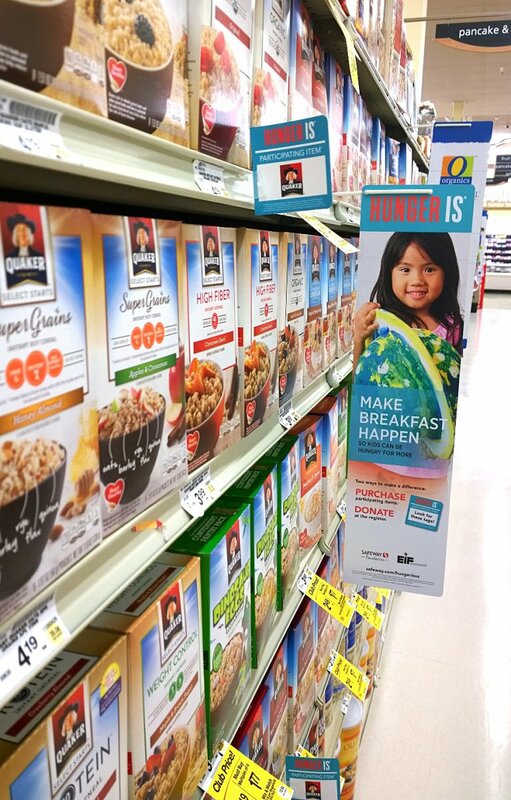 During the month of September, when you shop in their stores and buy specific participating brands' items, a portion of your purchase goes to the Hunger Is campaign -- dedicated to help eradicate childhood hunger, specifically to provide more school breakfasts (with high nutritional content!) so kids can start their day off right... during the school days and on the weekend. and so many more great brands! Or you can donate at the register – you can add a $1, $3, or $5, or any $ amount to your purchase. So let's do this together, and make breakfast happen --- for those kiddos in our own houses and all over America. So they can be hungry for more. 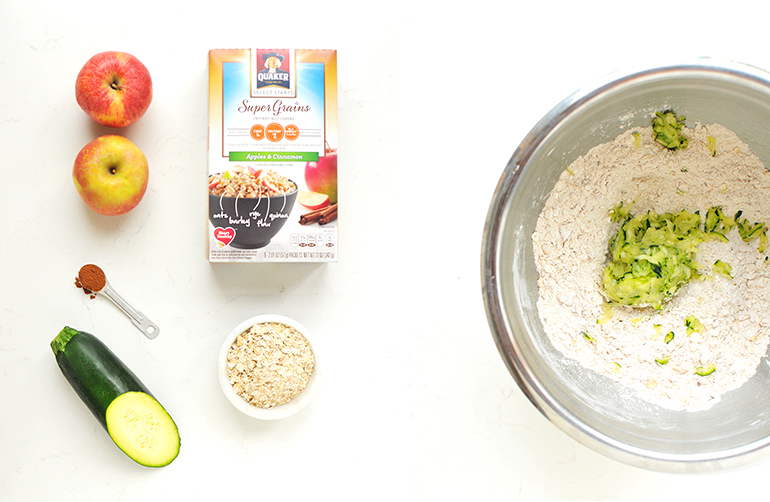 Quaker's Super Grains apple cinnamon oatmeal has oats (of course! ), but also barley, flax, quinoa, and rye -- and 7g of protein per packet. 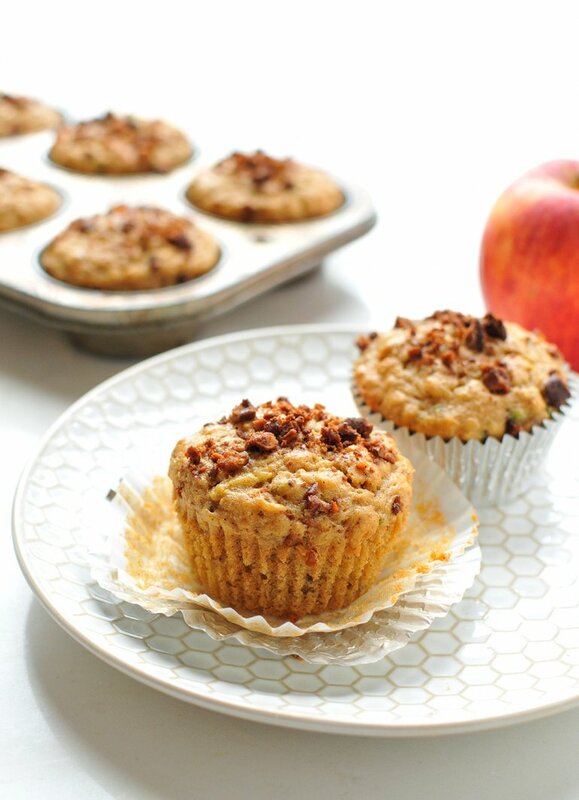 These muffins are super nutrient dense (with fiber and protein and healthy fat), but perfectly light and fluffy. And did I mention, kids absolutely LOVE THEM?!? Happily nourished. That's what I like to call it. 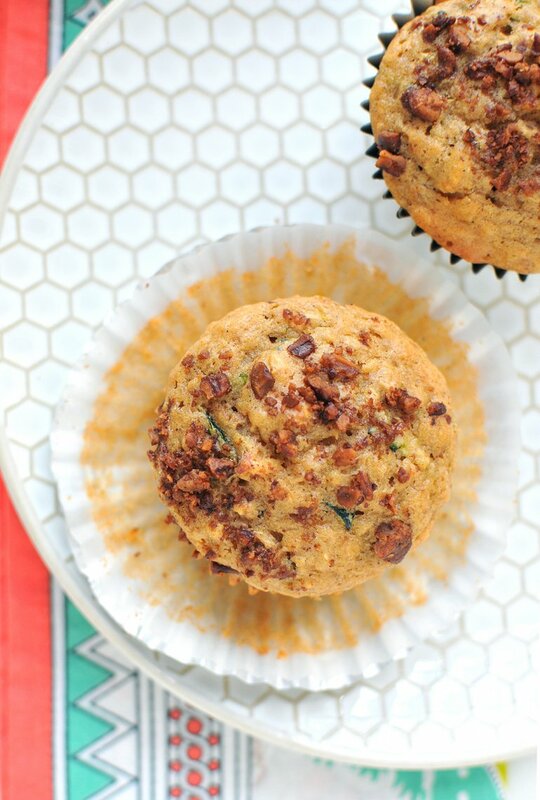 I love baking up a batch of these muffins on a Sunday when things aren't quite as busy. 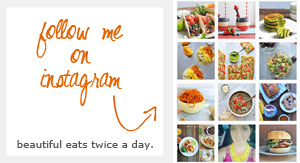 And then we just reheat them throughout the week for a hearty, quick, satisfying breakfast. In a large mixing bowl, combine dry ingredients: oatmeal, cinnamon, flour, baking powder, and sea salt. Grate a medium zucchini, then squeeze out the excess juices --- do this by putting the grated zucchini in a cotton tea towel and squeezing until no more juice comes out. Then put the zucchini into the dry ingredients. In a small bowl, combine the wet ingredients: apple sauce, avocado oil, eggs, coconut sugar, and cashewmilk. Stir until thoroughly combined. Then, stir the wet ingredients into the dry ingredients. Stir just until mixed. Use cupcake liners and then spray the muffin tin and liners with non-stick spray. Fill each cup 3/4 of the way up to the top. Sprinkle the tops with the coarsely chopped honey roasted pecans. Gently press them down into the batter slightly.